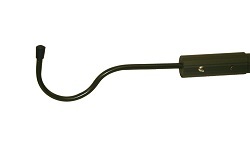 he Mojo Cajun Marsh Pole by MOJO is a heavy duty, multi-function boating type pole that performs a lot of duties for any outdoor person, but designed for the waterfowler. 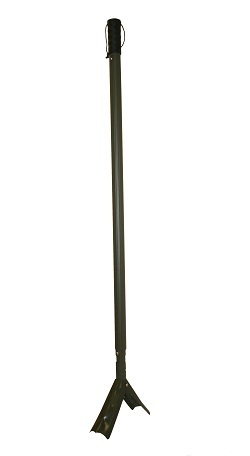 This Cajun Style pole will get you around in the marsh or duck field with ease – no one tool will do this many things for you. It is a 3-piece telescoping pole that locks in place with positive pushpins and will adjust from a collapsed length of 48” to fully extended length of 115”. The Cajun Marsh Pole by MOJO is a heavy duty, multi-function boating type pole that performs a lot of duties for any outdoor person, but designed for the waterfowler. It is a 3-piece telescoping pole that locks in place with positive pushpins and will adjust from a collapsed length of 48” to fully extended length of 115”. 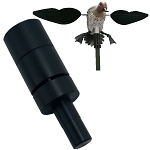 Made of heavy duty corrugated aluminum, it comes complete with inter-changeable attachments to include a spring-loaded marsh foot, a paddle head and a decoy retrieval hook; ready to hunt or boat with. 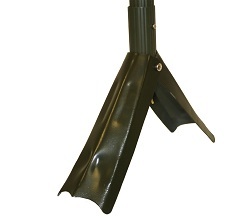 Paddle has angled line retrieval slots to allow snagging of decoys when using the paddle head. All attachments lock positively into place with convenient pushpins. Rubber cap on hand end for comfort and a sling for storing.